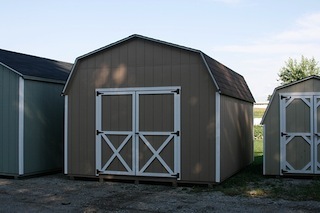 Mast Mini-Barns is pleased to offer the finest quality and designs in off site sheds and buildings. Mast Mini-Barns was founded in 1988 by Alvin Mast in West Michigan. It has expanded its service area to include Grand Rapids, all of Michigan and the Midwest market, including Indiana and greater Chicago area. The demand for high quality sheds and service has expanded this family owned business into a 40,000 square foot factory. We now offer several different series of sheds, as well as gazebos, swing sets, and more. You may visit the manufacturing facilities or our display lots anytime. We look forward to serving you soon!